Scientists say that they have discovered one of the ways the HIV virus hides inside the cells of its victims. The experts behind the discovery are now working on utilizing their findings in creating a cure that could put a stop to the deadly disease once and for all. The medical community has long been perplexed by how some infected cells can go dormant and evade detection for years. However, new discoveries made University of California, San Francisco researchers finally provide some answers. They discovered that cells can spontaneously become dormant by refusing to make the virus like a normally infected cell. They are now working on a drug that can identify and kill these latent cells. Currently, there are no drugs that can kill these cells or stop them from reactivating in the future. This means that even if the virus is virtually eradicated, latent cells can restart the cycle anew. While viruses generally infect new cells in a continuous fashion, an HIV-infected cell can stop or postpone making the virus for a long period of time. This makes them harder for current treatments to target effectively and could be dangerous once they become active. 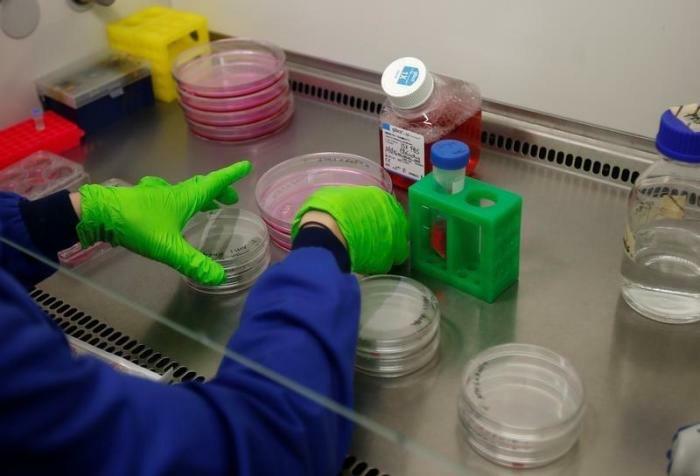 "We can't even separate out uninfected from infected cells, let alone latently infected cells," said Dr. Steven Yukl, from the University of California, San Francisco. Latently-infected cells are extremely rare - one in one million CD4 T cells - and we don't know how to identify them." One way to destroy these dormant cells is through the body's own immune system. Novel HIV antibodies are already being used to suppress the virus without the use of drugs. Making them destroy infected, but dormant cells could hold the key to eradicating the virus altogether. These new findings present new hope for people suffering from the dreaded disease which, despite being around for years, have yet to receive a cure.